If you’ve looked at this site in the last month or so, you may have noticed the sidebar ad for the Sketchbot Custom Show at My Plastic Heart in NYC. “Sketchbot” is the original creation of our good friend Steve Talkowski and the current exhibit at My Plastic Heart features the work of 50 artists who worked from blanks to create their own custom Sketchbots. Today (Apr 23) is the last day of the show, so I encourage anyone who can make it down to the LES to check it out (gallery hours are 12PM – 7PM). You can view some pictures from the exhibit in this flickr set. View a video from the show opening after the jump. 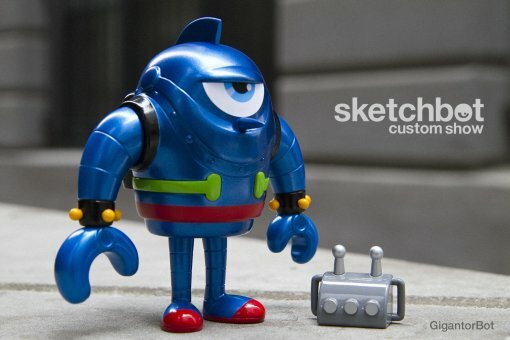 Sketchbot Custom Show from Steve Talkowski on Vimeo.